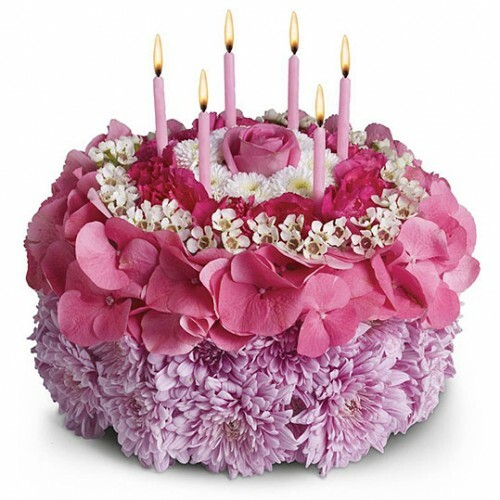 This one-of-a-kind arrangement is carefully arranged with the shape and styling of a colorful cake while featuring happy shades of pink, purple and white flowers. The recipe includes a rose, hydrangea, miniature carnations, and chrysanthemums. This memorable gift will add to the festivities of a special day which with proper care, can last days after.